Today, there are, perhaps, thousands of ways to make coffee. They worked out the nations of the world for several centuries, since, both from the roast and ground coffee beans began to cook and receive an invigorating, fragrant and tasty drink. Organic coffee is traditionally drunk from small cups, bez sahara, enjoying the nuances of aroma and taste of favorite varieties. But if the coffee is prepared for any particular recipe, for its correct use will require knowledge of the coffee ceremony. 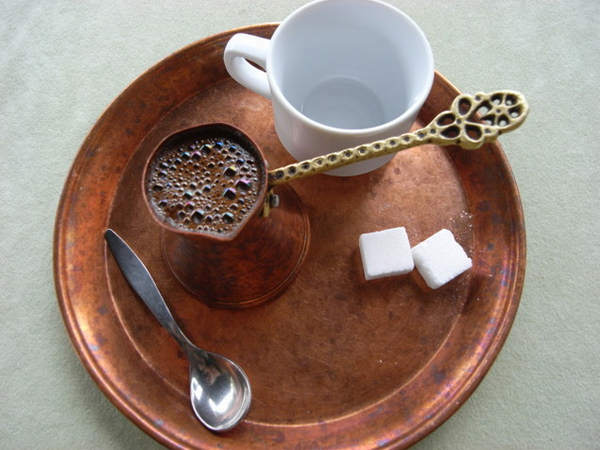 In the Arab world, coffee is usually served only freshly brewed coffee with a glass of ice water. A sip of coffee a sip of water alternate with, because it is believed, against the background of clean and cold water taste of the drink appears richer and brighter. Coffee and water should be drunk in small sips, in this case it is better not to eat anything, enjoying the true and real taste of coffee. If the coffee was served in Turku, then spoon to scoop out of it you need to lather, put in a cup and pour the coffee on top of already. In Asia, the coffee may apply citric acidified water. After drinking a cup of coffee, It decided to sip a few mouthfuls, to bathe the mouth of particles of coffee. 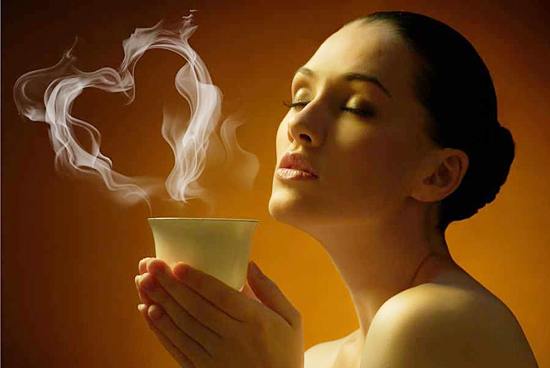 If coffee is served alcohol, eg, liquor, rum, balm, cognac, in particular a glass. Keep in mind, if alcohol is served separately, the you can not mix the coffee and alcohol, pouring it into a cup of wine glasses or glass. coffee drink, alternating with a small sip of an alcoholic beverage. Regular coffee with milk drink, first adding serves coffee sugar to taste, and then from the milkman to add the required dose of cream. Coffee with whipped cream, usually, pyut through a straw. If it does not serve, the coffee sipped in small sips through a cap cream. Cappuccino together with drinking milk foam, stirring occasionally with a spoon, some like a spoon to eat the foam separately, but it is better not to do it, taste of the drink is distorted. Latte macchiato usually drink through a straw, without mixing the layers, but many people like to add sugar, Mix with a spoon and drink through the layers of the rim of the glass. The perfect combination - coffee ice cream, it is served in glass tall glasses. Coffee drink using a straw, ice cream spoon while eating. If it is completely melted, then only use a straw. Iced coffee served with a straw, with the help of a cooled drink coffee, leaving the ice at the bottom, it is not accepted and to get there.